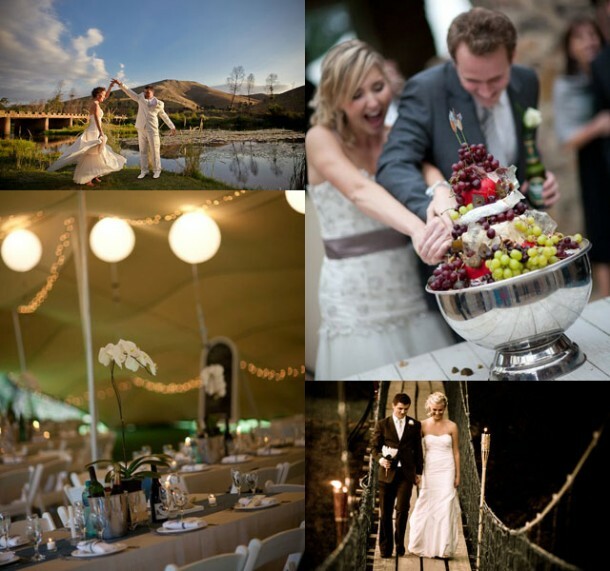 The lapa area is on the bank of the Riviersonderend River and seats 80 people for smaller weddings. For larger weddings, Oewerzicht has a free-form (stretch) tent next to the lapa which can host up to 150 (seated) guests, as well as room for a larger dance floor. The cost includes a fully equipped kitchen, bar, tables, chairs, cutlery, crockery, glasses and setting up. Oewerzicht can accommodate 42 of your wedding guests, should you want to book all the accommodation facilities on the farm for your guests. Come and enjoy the spectacular, romantic views and uplifting beauty of the country on one of the biggest days of your life! For more info contact Zahn-Mari or Isa on Telephone +27 (0)28 254-9831 or on their mobile: +27 (0)71 289-9848, or visit Oewerzicht for more info and to send an enquiry.